Thanks to all those who have produced the photos or art work on this page. If your work is displayed without a link to your site, please send me the link and your photo can become a link. 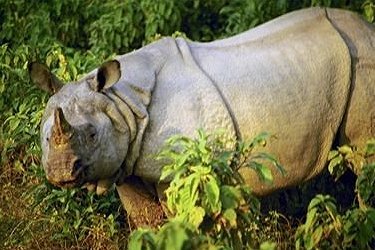 All of the Rhinoceros species are seriously endangered, two of them critically, and unless the world cares, two of them are soon bound for extinction. The world spends billions on weaponry but barely the price of one missile to save the Rhinos; but the weapons industry is doing fine thank you very much. Does your President or Prime Minister even care about this selfish obscenity? 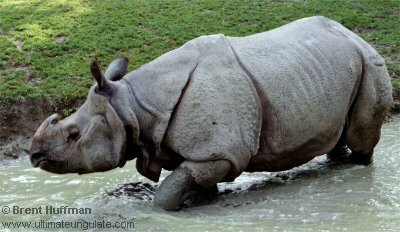 Perhaps someone could convince the Chinese Government to educate their people, to stop paying for the slaughter of the Rhinos. 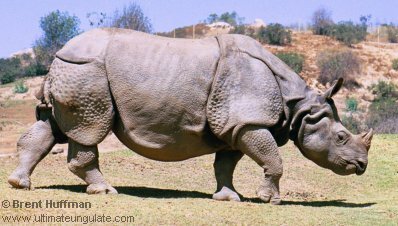 It could also be explained to the Chinese people who think that they will get some benefit from eating rhinoceros horn, that they would get the same benefit from eating their own fingernail or even human hair; rhino horn is nothing more than keratin (fingernail and hair). 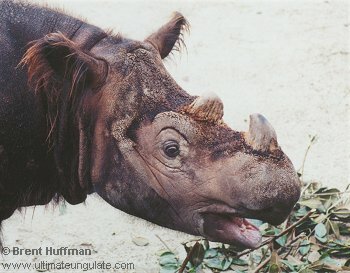 All the Asian Rhinoceroses are in trouble because of the demand for their horns. 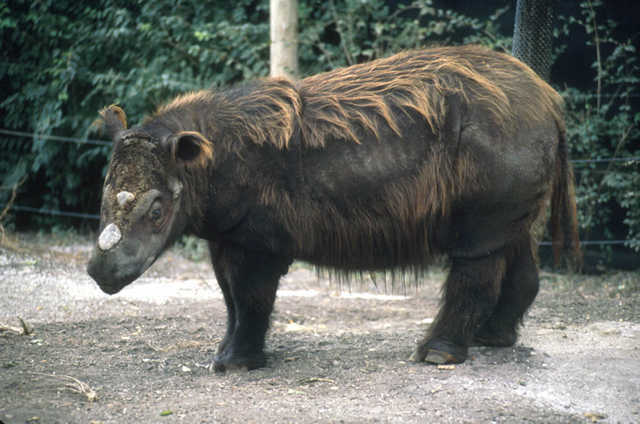 Critically Endangered and on the verge of extinction, less than 100 left. The price of just one missile could save them. Does your President of Prime Minister care? 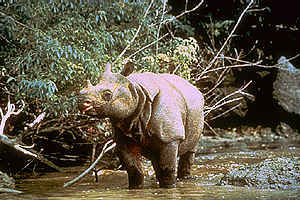 Critically Endangered and on the verge of extinction, perhaps about 300 left. The Indians and Nepalese are trying to save them but they could do with a little help. 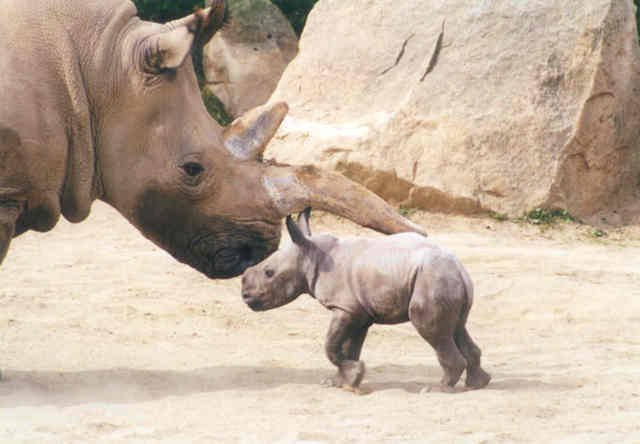 All Rhinoceroses are endangered, however the Black is the most endangered of the two African Rhinos. 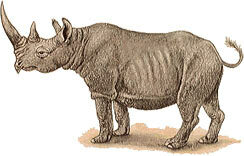 The Black Rhinoceros is a browser. 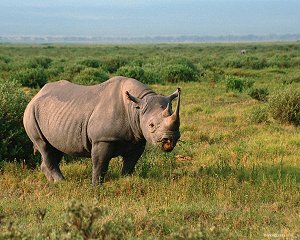 The White Rhinoceros is a grazer. 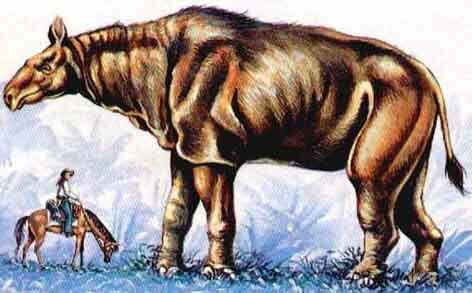 Believed to have been the largest land mammal of all time. Estimated shoulder height of nearly 18ft (5.5 m). 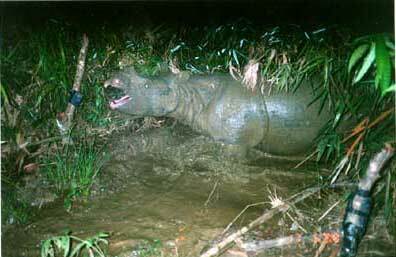 Estimated weight of about 10 tons. 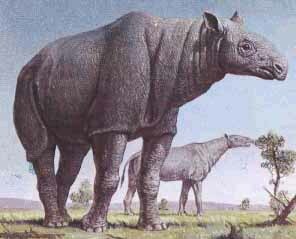 Some Good reference books on the Rhinoceros.